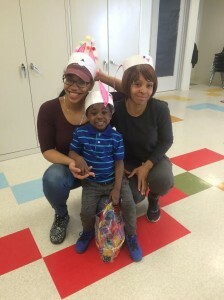 Fred Alger Management Inc. donated colorful Easter baskets to the young tenants of Barrier Free Living Apartments this March. BFL Apartments, which opened in 2015, offers permanent homes to survivors of domestic violence with disabilities and their families as well as veterans with disabilities. “On behalf of Fred Alger Management, Inc. and the Alger Candlelight Giving Committee, we are proud of the work you do to ensure the safety and well-being of the residents at Barrier Free Living. We are honored to support your organization and hope that our contribution further supports the work that you do.” -Fred Alger Management, Inc.